Being asked to either attend events or give talks about The Wainwrights in Colour or my more general work is always a pleasure and those who have been to such an event will understand my passion and joy of giving such presentations. Requests to attend such events are getting more frequent now and the calendar for 2019 is already taking shape. I am usually pretty good at ensuring dates in my diary do not clash but this did happen recently when I was double booked for both the Sedburgh Booktown Festival and the Borderlines Book Festival in Carlisle. Sadly I cannot be in two places at once so I had to give priority to the event that asked me first, the result is that I will be heading up to Carlisle in early October. 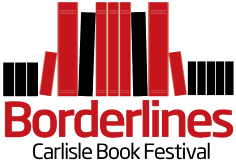 The Borderlines Book Festival is a major event and I am honoured to be part of the line up of speakers and workshops which take place over the period of 27th September until the 7th October, in fact I actually attended a couple of the events last year as a paying member of the public. My talk will take place in the Tullie House Museum and Art Gallery on Sunday 7th October and apparently I will be introduced by Vivienne Crow. The only slight negative factor is that my talk is at 10am in the morning so fingers crossed that not everyone will have been out on the town on the Saturday night or heading off to church. Mind you, it will not bother me too much, attendances at my talks can vary depending on the event and location from packed houses to as few as half a dozen. Each presentation is given my full passion, after all, everyone who has paid to see me deserves to get their monies worth. I am not big headed enough to think that I can draw the crowds of Alan Hinkes or Stuart Maconie (who is also on the list of speakers at Borderlines). I am just a simple artist with a love of the outdoors and a clever idea has lead to this moment of fame. If I get 10 to attend I will be happy enough but the more the merrier. 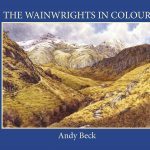 If by any chance you are in the area on the 7th October then why not book a ticket and come along to hear the background story behind the award winning book- The Wainwrights in Colour. You can book tickets here: Andy Beck Borderlines Book festival.